I found this meme against the Nazi wig-wearer of Trump Tower over on another Tumblr site, Eclectic Banana. If you want to see the original, it’s at http://eclecticbanana.tumblr.com/image/138479384827. Warning: this is another site with adult content. It’s a variation on the old ‘first they came for…’ piece. But it’s true, nonetheless. If Trump’s elected, after he’s gone for the Muslims, the Hispanics, the journalists and Blacks, he will start going for everyone else he doesn’t like. And that’s going to be a very long list. 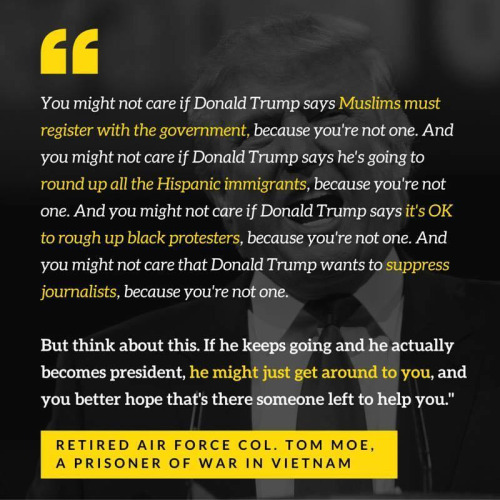 The author of the piece is a retired Air Force Colonel, Tom Moe, according to the meme, who was a POW in Vietnam. So take the advice of someone, who lost his freedom doing what he believed to be right to defend it. This is another meme I found over on the over 18 site, 1000 Natural Shocks. It succinctly makes the economic point Mike over at Vox Political, the Angry Yorkshireman and many other bloggers have been making for a very long time: that it’s the poor that drive the economy by spending their money through sheer necessity. All the money the rich save in tax cuts is effectively thrown away, because they don’t spend it. 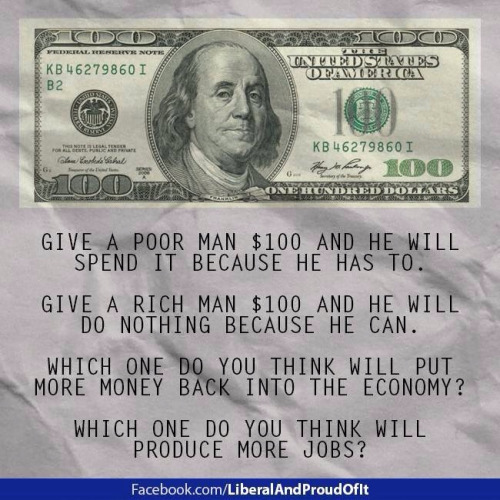 The trickle down economics beloved of Thatcher and Reagan is a lie. 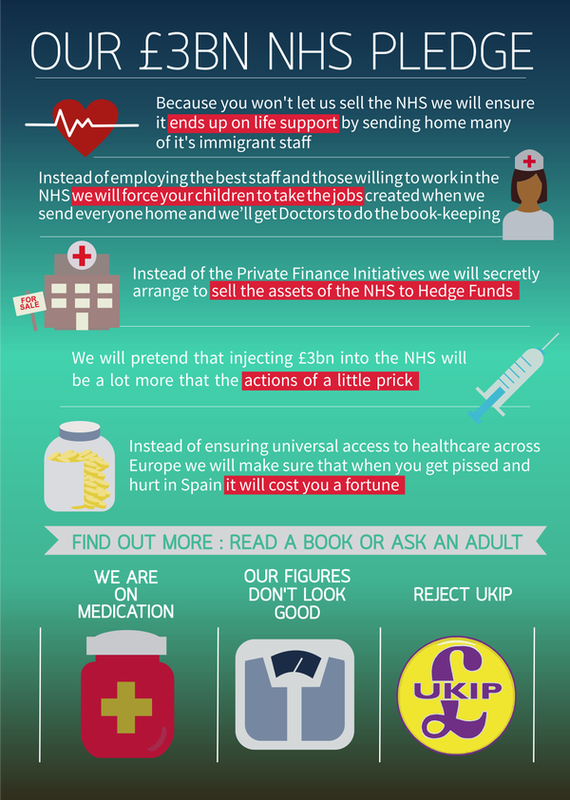 Remember UKIP’s claim a week or so ago that they were going to spend an extra 3 billion on the NHS? I found this meme on Still Laughing at UKIP, which takes it apart completely.